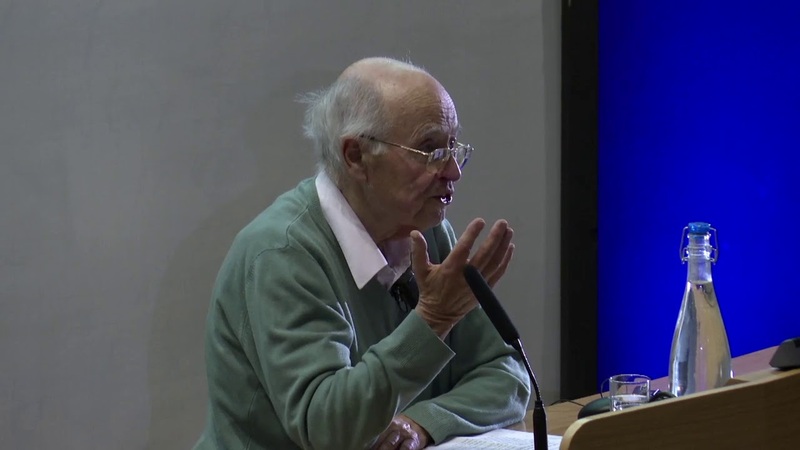 We are very sorry to hear of the death of Michael Atiyah. Michael was a giant of mathematics. He held many positions including Savilian Professor of Geometry here in Oxford, President of the Royal Society, Master of Trinity College, Cambridge, the founding Directorship of the Isaac Newton Institute and Chancellor of the University of Leicester. From 1997, he was an honorary professor in the University of Edinburgh. He was awarded the Fields Medal in 1966 and the Abel Prize in 2004. Michael's work spanned many fields. Together with Hirzebruch, he laid the foundations for topological K-theory, an important tool in algebraic topology which describes ways in which spaces can be twisted. His Atiyah–Singer index theorem, proved with Singer in 1963, not only vastly generalised classical results from the 19th century such as the Riemann-Roch theorem and the Gauss-Bonnet theorem, the work of his teacher Hodge in the 1930s on harmonic integrals, and also Hirzebruch’s work, but also provided an entirely new bridge between analysis and topology which could also act as a mechanism for giving structure to identities in fields as far apart as number theory and group representations. His more recent work was inspired by theoretical physics and coincided with the arrival of Roger Penrose in Oxford. The two exchanged ideas and realised how modern ideas in algebraic geometry formed the appropriate framework for Penrose’s approach to the equations of mathematical physics. This activity came to a head, following a visit of Singer in 1977, when a problem posed by the physicists on the Yang-Mills equations was solved by a mixture of Penrose’s techniques and some recent sophisticated pure mathematics in the theory of holomorphic vector bundles. As his ideas developed Michael, at the urging of Ed Witten, began to consider quantum field theory more seriously and ultimately he became one of the founders of what is loosely called “quantum mathematics”. Please contact us for feedback and comments about this page. Last update on 14 January 2019 - 09:55.